We are involved in manufacturing and exporting a wide range of Valve Manifold, which is known for sturdy construction and high performance. 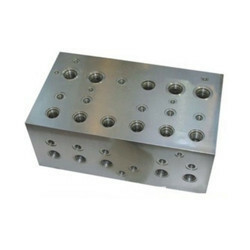 These valve Manifold are used for connecting system impulse lines & transmitters. The valve manifolds are rated for pressures as high as 6000 PSI at 2000 F or 4000 PSI at 5000 F with PTFE packing. Further, for a higher temperature, Graf oil Packing is used. We provide high quality solutions to customers requiring small to medium sized quantities of Precision Engineering parts from a variety of materials which include carbon steels, stainless steels, inconel, duplex, copper, nylon and aluminum. We can produce a range of components from 2 mm to 102mm thru spindle on a variety of CNC Turning Lathes. Larger parts up to 648 mm in diameter and 1150 mm long can be machined CNC Turning centers. Manufacturing capabilities for CNC Turned & CNC Milled Parts We manufacture turned parts out of the following material. grinding, shaping, grooving, countersinking, welding, honing, sinking, embossing etc. We are providing CNC VMC Job Work (CNC Vertical Machine Center Job Work). We use quality grades of various metals as per customers requirements in the manufacturing of our range that comprise of precision components, CNC machined components, engineering components. Reckoned to be the prominent name in industry, we are engaged in manufacturing and exporting a quality range of machines. Job Work on CNC Vertical Machining Center offered by us is precisely designed under the guidance of experts our range is free from design flaws and complies with the prescribed quality standards. Moreover, each product is stringently tested on varied parameters before being delivered in the market. A Test report may be generated according to requiremets. Leading Manufacturer and Exporters from Mumbai, we offer VMC Machined Components such as Precision Machined Components & Milling Precision Components. Specializing in metals such as aluminum, steel, copper and titanium, we are also adept at working with nickel, magnesium, and other exotic alloys. 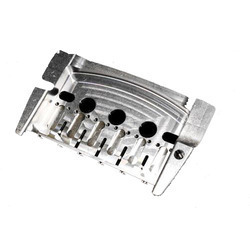 We also have the capability to manufacture from various raw material types including bar stock, castings, forgings, and sheet metal. Secondary services include assembly, welding (fusion/resistance), fabrication, epoxy painting, cleaning. We offer inspection and have measuring machines for inspection & testing. While working with our customers, we develop prototypes that lead to volume production runs. Fast CNC “Turn Around” Response: We pride ourselves on quick response, unsurpassed quality, and competitive pricing. These fast turn around times are possible because of our experience and continued improvement of our proprietary job costing, analyzing, and implementation methods which we have, over the years, honed to a science. Yet we never sacrifice quality for speed with any of our machining processes. We have a superb quality department that can work within very tight tolerances and ensures that every part is within customer spec. Custom CNC Milling: We are often approached by customers that have special CNC machining requirements. Because of our vast experience with machining "difficult jobs”, many customers rely on us to “come to their rescue”. 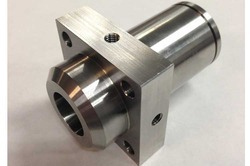 We offer accurate CNC machining services to various industries and a variety of applications. Our facility includes vertical and horizontal machining centers featuring 3 axes. Advanced fixturing depending upon each customer requirements are made for each customized posts. In-house fixturing development & tooling make the job accurate. 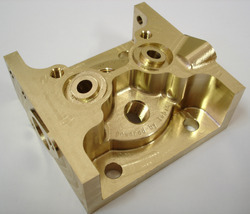 We can help customers for prototyping to large volume production of CNC machined components. 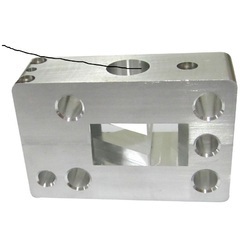 Looking for CNC Machining Parts ?